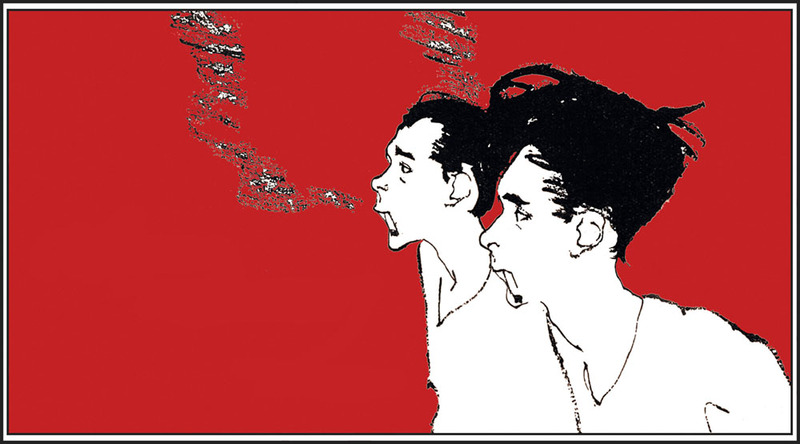 Beatrice Mandelman, Collage No. 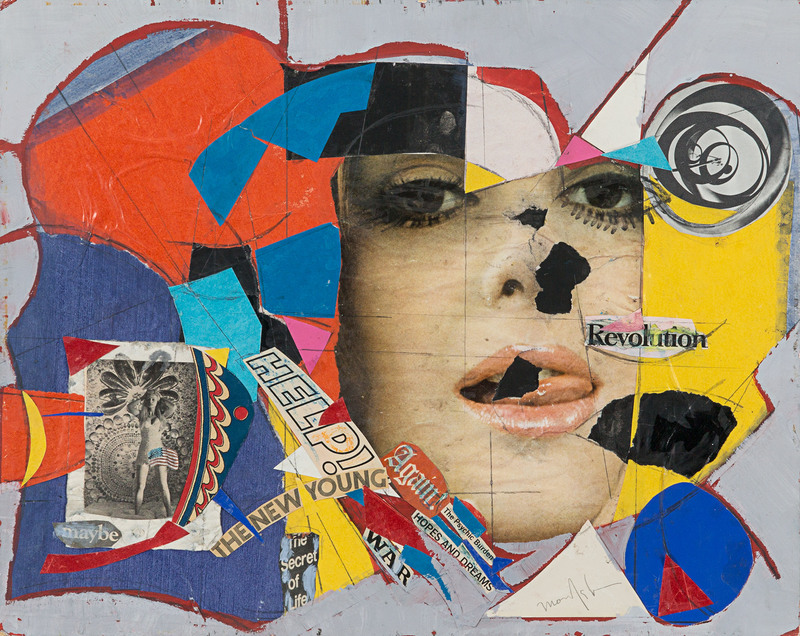 9, 1960s, mixed-media collage on mat board, 15.63″ x 19.63″. 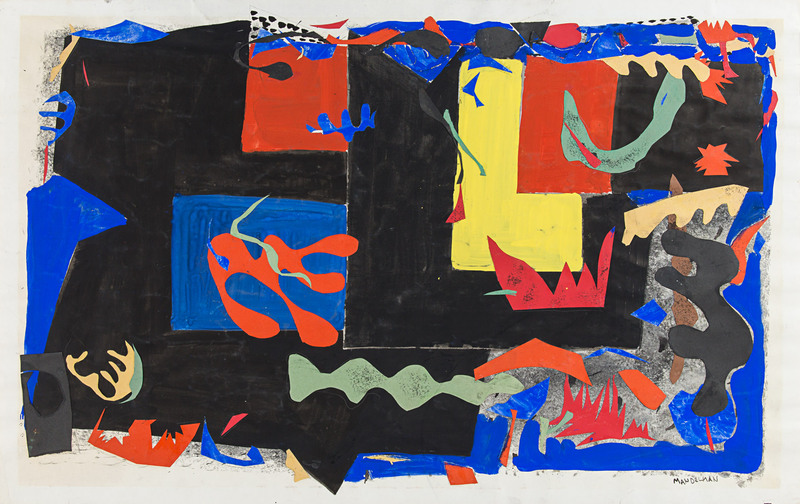 Untitled, c. 1960s, acrylic and collage on paper, 24.88″ x 38″. 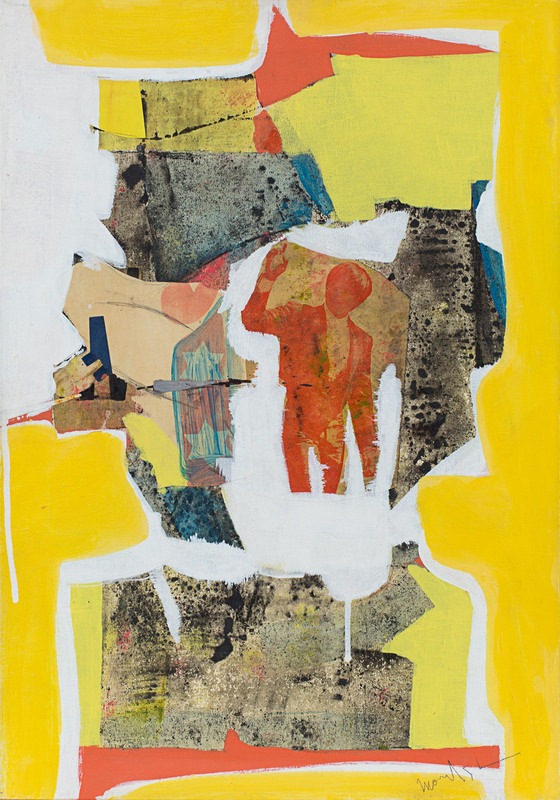 The Man, c. 1965, collage with acrylic on canvas, 19.74″ x 13.75″. 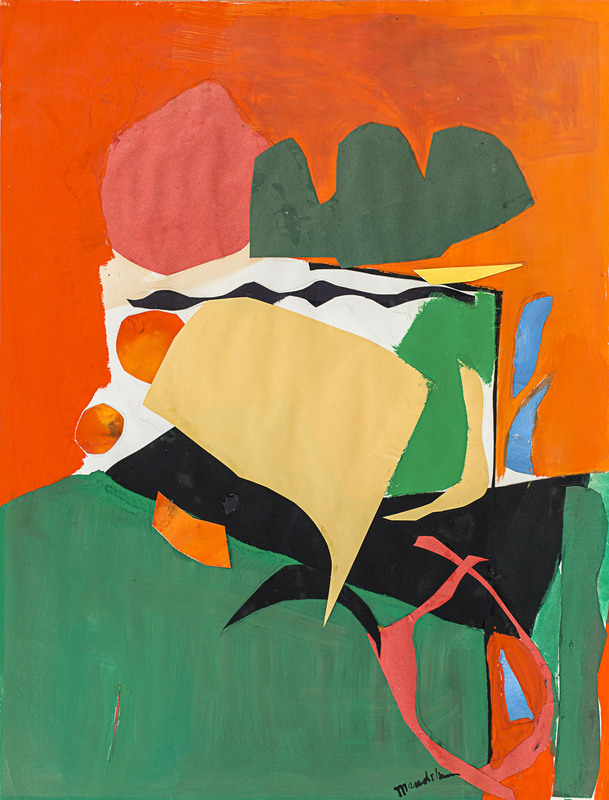 Untitled, c. 1960s, acrylic and collage on paper, 25.5″ x 19.63″. 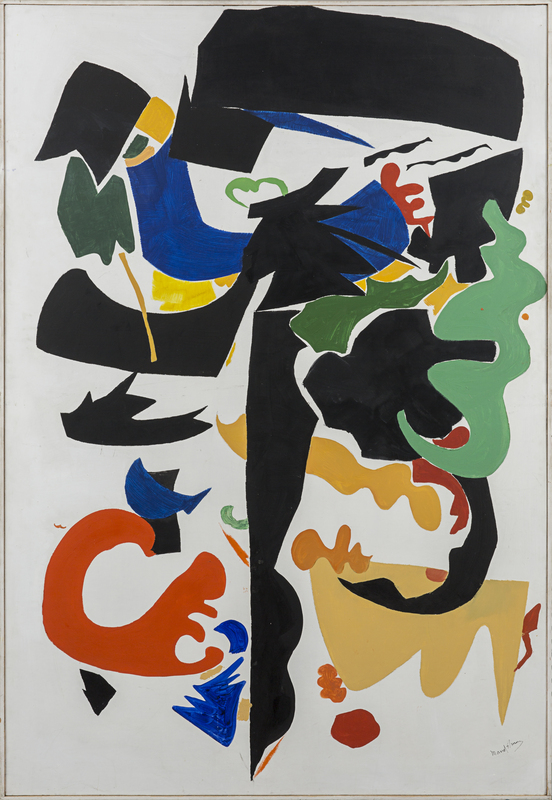 Sea Shapes (#2), 1960s, oil on fiberboard, 60″ x 48″. 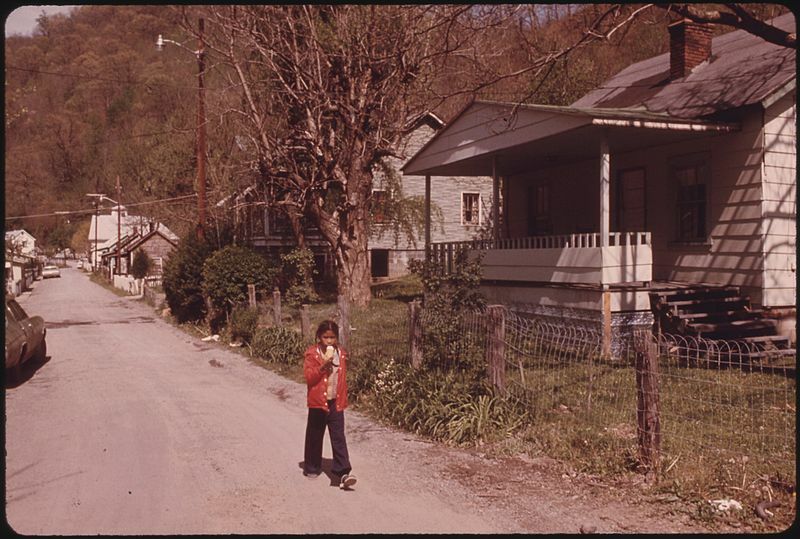 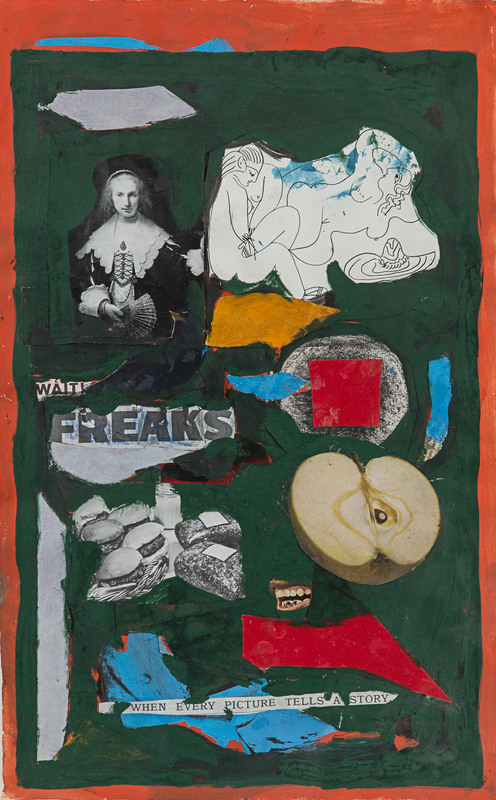 Untitled (Freaks), c. 1960s, mixed-media collage on paper, 19.44″ x 12.19″. 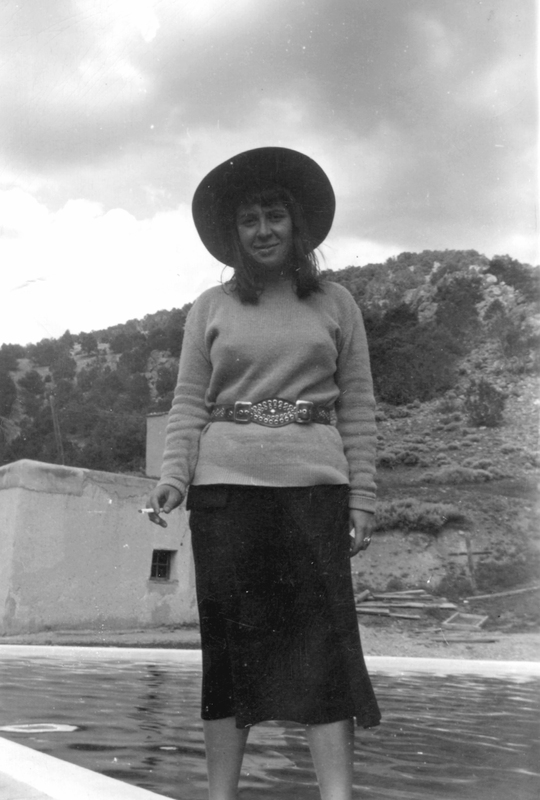 Beatrice Mandelman at a swimming pool in Llano, date unknown.